The U.N. described these repeated test launches as not consistent with international accords. Iranian leaders dismissed the report as "biased." 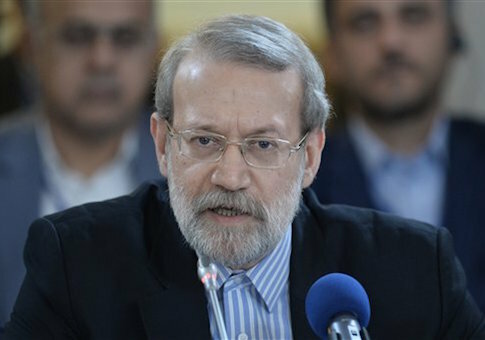 "It is necessary for the Atomic Energy Organization to act in compliance with the law passed on the reopening of the nuclear plant to enrich uranium proportionate to the country’s needs and prepare a plan and keeps the [parliament] posted on it," Larijani said. The Iranian leader further chided the United States for pursuing "diversionary actions" aimed at undermining the nuclear agreement. "While regretting the U.N. secretary general’s move, the Majlis warn the U.S. administration, the House of Representatives, and the Senate that diversionary actions against the nuclear deal have reached a point where Iran has no other option but to retaliate," he said. Iran’s most recent threats come amid a growing scandal in Washington, D.C., over revelations that the Obama administration misled the American public and members of Congress about the precise contents of the nuclear deal. Secret documents obtained by the Associated Press show that key restrictions on Iran’s nuclear procurement efforts will be lifted in a decade, putting Iran within six months of a nuclear bomb. The Washington Free Beacon disclosed on Wednesday that lawmakers critical of the administration’s diplomacy with Iran were kept in the dark about the agreement. The documents also call into question public claims made by Obama administration officials about the methods by which Iranian enrichment activities would be curtailed. "Of course the administration has not told lawmakers this and of course it’s sadly predicable," Rep. Peter Roskam (R., Ill.) said to the Free Beacon on the sidelines of the Republican National Convention in Cleveland, Ohio, on Tuesday. "There’s no celebration in the fact that the administration has gotten this [deal] wrong at conceivably every level. It is severe news and it has to be dealt with." Roskam went on to state that these documents invalidate the entirety of the nuclear deal.